You can’t accuse Hyundai of rushing into hybridisation or electrification. The carmaker first teased a model featuring an electric motor back in 2012. There’s a badge link between that show car and the showroom car Hyundai finally released in Australia in early 2019: both are called Ioniq (though the concept was written i-oniq). And just like a bus, you wait ages for one electrified Hyundai to come along and then three come at once. There’s an Ioniq Hybrid, an Ioniq Plug-in Hybrid, and an Ioniq Electric. 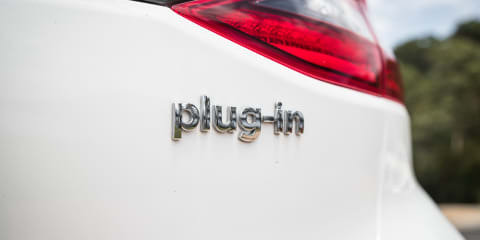 But just to ensure there’s no confusion in Hyundai dealerships for buyers, the rump of each car is simply labelled ‘hybrid’, ‘plug-in’ and ‘electric’. Pricing stickers aren’t similar. The Hybrid starts at $33,990 (undercutting the Toyota Prius), the mid-range Plug-in kicks off at $40,990, and the Electric begins at $44,990 (ready to take on the upcoming, new-generation Nissan Leaf) – all before on-road charges are added. For less money than the Hybrid, you could buy an upper-range model of the slightly bigger Hyundai Elantra, or for the same money as the Electric you could buy an entry-level Santa Fe SUV. But if the Ioniq appeals because you’re serious about saving fuel – or the planet – then which one is best? The starting prices mentioned above are for entry-level versions, which adopt the company’s familiar base-model ‘Elite’ name. Elite features include LED daytime running lights, rear parking sensors, tyre pressure monitor, 15-inch alloy wheels, dual-zone climate, keyless entry and start, 8.0-inch infotainment display, navigation, 4.2-inch digital instrument display, and smartphone-based telematics (Auto Link). There’s also active-safety tech in the form of autonomous emergency braking, blind-spot assistance, fatigue monitoring, lane-keep assist, rear cross-traffic detection, and adaptive cruise control. There are some variances between the Elites, though. The Plug-in jumps up to 16-inch wheels and swaps the Hybrid’s full-size spare wheel for a mobility kit. The Electric gains lumbar support for the driver’s seat, rain-sensing wipers, a bigger (7.0-inch) digital instrument display, electric folding mirrors and a stop-go function for the adaptive cruise. The Electric Elite is just single-zone climate rather than dual, though. Then there’s the Premium, aptly named for its extra charge that brings extra features. The premium shrinks incrementally as you go up the range – from $5000 (Hybrid) to $4000 (Electric) – though it’s not a reward for buying a more expensive variant. The Plug-in and Electric miss out on the Hybrid Premium’s 17-inch alloy wheels, for example, sticking with the Elite 16s. And the Electric Ioniq Elite already has the electric folding mirrors, 7.0-inch digital driver display and rain sensor added to the Hybrid and Plug-in Premiums. Still plenty of equipment additions for all models: front parking sensors, bi-xenon headlights, electric sunroof, leather-appointed seats, auto-dimming rear-view mirror, electric driver’s seat, paddle-shift levers, wireless charging, Auto Link Premium, and an extra USB port in the centre console. The Plug-in Premium also adopts low-beam LED headlights. Not the most straightforward trim-grade set-up, so I hope that all makes sense! A foot-operated park brake in the two hybrid models feels more like 1979 than 2019. The interior plastics hardly embrace modernity, either – it’s all a bit grey and dour inside. All our test cars were Premium grades, too. At least it works for buyers who want a car with a powertrain with an eye on the future, but an interior that looks fairly normal. And the dash design, complete with its floating touchscreen, doesn’t look unfamiliar from the look of the i30 or Elantra. You can’t miss the changes to the Electric Ioniq’s cabin. The push-on, push-off park pedal is gone, replaced by an electric version joined by other buttons for the transmission on the centre console. And because there’s no transmission tunnel required to accommodate an automatic gearbox, as with the hybrids’, the Electric Ioniq’s features a large storage ‘bucket’ where the centre console and lower centre stack meet. It can hold small handbags, wallets, tablet devices or other similar-sized items. The Electric’s wireless smartphone charger is also a different set-up. There’s decent rear legroom, though the tapering roof line limits headroom for taller passengers. Lift the tailgates of each Ioniq and it would appear boot sizes are identical – and all relatively shallow. However, Hyundai quotes a bigger capacity for the Hybrid owing to its under-floor storage sections (and despite its full-size spare). Bigger battery packs effectively rule out under-floor storage for the Plug-in and Electric models, reducing their cargo capacities to 341 and 350 litres, respectively. Both have tyre repair kits only, too. All models have split-fold rear seats for the option of extra luggage space. For comparison, the Ioniq figures compare with boot capacities of 458L for the Elantra and 395L for the i30 hatch. Now for what’s undoubtedly the most interesting, or even intriguing, element to the Ioniq. The way each is powered and how that affects performance and efficiency. And they are very different. We didn’t just stick to the city, either. We took these Ioniqs out of what is typically their comfort zone and onto country roads and freeways – in a 125km loop that would reveal how their fuel efficiency and battery ranges play out beyond the claims of specification sheets. The Ioniq Hybrid is Hyundai’s direct answer to the Prius, and it too employs a four-cylinder petrol engine in tandem with an electric motor. The engine is a 1.6-litre rather than a 1.8-litre, but uses the same fuel-efficiency-focused Atkinson Cycle; the battery is also a more advanced lithium-ion type than the Toyota’s cheaper, reduced-density nickel-metal-hydride battery. 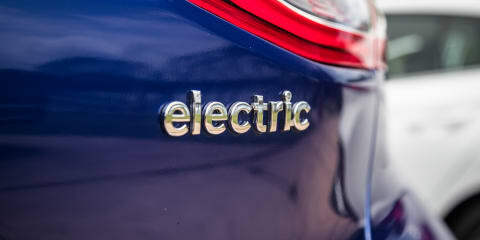 Hyundai quotes a combined power output of 104kW, which compares with 90kW for the Prius. Another point of difference: Hyundai uses a six-speed dual-clutch auto rather than a CVT. Hyundai says the Ioniq can be driven on electric power alone, which is true – though only up to a certain point. Or should we say a certain speed. Unlike the Toyota, the Ioniq Hybrid can’t be driven meaningfully on electric power alone (you can reverse in silence). You don’t have to apply much pressure to the accelerator pedal before bringing the 1.6-litre into play. The Ioniq Hybrid is easy to drive, though, and the petrol-electric teamwork provides adequate throttle response at most speeds. Its brake pedal feel is firm but also better than the Prius’s, making it easier to judge deceleration. Braking and lifting off the throttle both help to charge the battery on the move via regenerative braking. And while battery power is depleted during driving you’ll never be stranded, as the Hybrid always has the petrol engine to rely on (as long as you’ve filled the tank!). After our urban loop, the Hybrid’s battery power hadn’t budged from approximately 50 per cent, before dropping to about a third. Our 90-odd kilometres of freeway/country road driving didn’t see the trip computer’s fuel economy estimate go too crazy – rising from the 4.3L/100km after the urban loop to 4.4L/100km. The driving-range indicator also dropped 103km rather than by the 125km we’d actually driven, leaving the Hybrid still with 889km before a trip to the servo would be needed. The Hybrid’s fuel consumption proved to be even better based on our real-world test of replacing used fuel: 4.1 litres per 100km, which got the Premium variant commendably close to its official 3.9L/100km. The Ioniq Plug-in largely follows the format of the Hybrid with the same petrol engine and automatic gearbox, but swaps the Hybrid’s 1.56kWh battery for a bigger 8.9kWh unit and a slightly more powerful electric motor. The motor’s output rises from 32kW to 44.5kW, though the combined petrol-electric power figure is unchanged from the Hybrid’s 104kW. That bigger battery is key to the Plug-in’s different driving experience, because this Ioniq can be driven solely on electric power at decent speeds and for a decent distance – up to 63km according to official fuel-cycle figures. Our Ioniq Plug-in indicated an electric-only range of just 42km on a full battery, though this proved to be misleading (in a positive sense). After dropping commensurately to 39km after we drove about 3km to a servo to top of the fuel tanks of the two hybrids (for real-world consumption testing), the Plug-in then completed 24km of suburban driving using only 12km of indicated battery range. The indicated fuel range actually went up from 923 to 927km. This was keeping the Plug-in primarily in its EV mode, which instructs the vehicle’s brain to motivate the front wheels using electric power only unless harder acceleration is requested by the driver – or necessitated by the topography. The Plug-in’s throttle response in EV mode is okay on flat roads, but becomes frustrating when suburban hills are encountered, or you just want to meaningfully increase your speed. To maintain momentum, the Ioniq’s petrol engine is forced into action – sounding harsh under harder pushes of the accelerator. A console button allows the driver to switch between EV and Hybrid modes, with the latter helping to conserve battery power – while regenerative braking also helps. As for battery charge, this had fallen from 98 per cent to 72 per cent after 24km. At the end of our 36km urban loop, it was just over half (53 per cent). With plenty of undulating roads for the 12km segment of suburban driving, the Plug-in was not quite as efficient as the longer, first segment. Going downhill is good for regenerative braking, though. Whichever way you look at the figures, the “up to 63km” EV range of the Plug-in doesn’t look like a case of severe optimism. And just like the Hybrid, you don’t need to suffer ‘range anxiety’. Once the Plug-in’s battery has depleted – to about 20 per cent – it simply motors along using the petrol engine like a conventional car. After our 125km drive, the Plug-in was still indicating a fuel range of 960km. And there’s still some temporary assistance from the electric motor – such as for reversing or taking off from standstill. The Plug-in’s trip computer estimated we had used 2.7 litres of petrol per 100km. When we topped up the tank and crunched the numbers, it turned out it had used 1.9L/100km. That’s closer to its official 1.1L/100km, though the 1.9L/100km figure could be viewed as disappointing considering we used EV mode as much as possible – including on the freeway. It’s farewell to petrol power and fuel tanks in the Ioniq Electric, and hello to the biggest battery in the range (28kWh) and an electric motor with about double the power of the Plug-in: 88kW. On paper that’s less than the 104kW combined power outputs of either hybrid model, but don’t let that fool you. If there’s just one factor that could sway buyers towards electric cars, it’s the instantaneous torque provided by pure-electric cars. No other Ioniq can match the Electric’s immediacy of response to throttle use. Or its smooth, linear power delivery. And that’s just in Eco mode. Press the Drive Modes button on the centre console to select Sport and the Electric unleashes its full 295Nm of torque (265Nm in Eco). The performance is terrific, and it gives drivers all they need to nip easily into traffic gaps or overtake with minimal fuss. If the acceleration would feel quite different to anyone jumping out of a petrol or diesel vehicle, the way the Ioniq Electric decelerates would be even more alien. As with virtually every other EV, the Ioniq Electric is a car you can drive with extremely limited use of the brake pedal. It’s a characteristic of the vehicle’s regenerative braking system, which uses the kinetic energy created by the car’s momentum and turns it into electricity that puts some charge back into the battery. Lift off the throttle pedal, and the Electric slows at a fairly fast rate compared with an internal combustion engine car. It’s likely to feel weird the first time you try it, but it’s equally likely to eventually become a natural, instinctive way of driving. How passively or aggressively the Electric slows can be adjusted via the car’s paddle-shift levers (which aren’t needed for a car with just a single gear) – increasing (left paddle) or decreasing (right paddle) the level of regenerative braking. The Ioniq just free-wheels if Level 0 is selected and you come off the accelerator, making the actual brake pedal more important, but also making the mode kind of pointless as it doesn’t help to recharge the car’s battery on the move. Level 1 is the closest to mimicking the coasting inertia of a petrol/diesel car when lifting off the throttle, but is still fairly weak at recharging the battery. Level 2, which most of CarAdvice’s testers said felt like the best mode, is more aggressive with its lift-off deceleration but not like some EVs of not so long ago. There’s also Level 3, but that feels overly aggressive without helping to recharge the battery any more than Level 2 (according to the digital display’s Power/Charge bar). All very ‘so far, so good’, but how did the Ioniq Electric fare across 125km of varied driving? Did our testers feel any ‘range anxiety’ at any point? ‘Very good’ is the answer to the first. ‘No’ is the answer to the second question. While the Electric displayed an indicated battery range of 188km after a full battery charge – well short of the 230km WLTP claim let alone the ADR81 280km figure – the range dropped by only 90km after 120km. In battery charge terms, the Ioniq calculated we used 54 per cent to complete that distance. With 44 per cent battery power remaining – and an indicated driving range of 98km – this suggested in theory that we could drive another 101km for a 226km total. In driving efficiency terms, the Ioniq used 12.1kWh for every 100km – not far off its claimed 11.5kWh/100km. While our loop included freeway driving at 110–115km/h, and some country road driving at 80–100km/h, our testing suggested driving exclusively in urban or suburban areas won’t necessarily extract significantly more range. For the freeway/rural segments, the Ioniq Electric averaged 2.15km for every percentage of battery charge. The Electric averaged 2.25km for every percentage of battery charge during the city segment. The Hyundai Ioniq is not a car aimed at keen drivers. But for those who are curious about which variant copes best when being pushed, the Hybrid Premium is the pick. It feels the lightest on its feet and its 17-inch tyres are grippier than the 16-inch economy-focused rubber of the Plug-in and Electric variants. The Plug-in’s steering feels overly heavy for some reason – and made worse if you pick Sport mode. It’s also the heaviest car here, and feels it. The Ioniq Electric greets any enthusiastic cornering with its stability-control system, dabbing brakes and reducing engine power (and fun). Ride comfort is disappointing on both hybrid models. The Hybrid is the worst culprit with its fidgety and thumpy suspension, though the Plug-in isn’t much better – struggling to settle on anything but super-smooth bitumen. It’s ironic, then, that the Ioniq Electric offers the notably smoother ride, because technically it’s suspended at the rear by a cheaper torsion beam – necessary to help fit this variant’s substantially larger battery – whereas the hybrids feature fully independent (multi-link) set-ups. It seems the Electric’s different weight distribution (more rear biased) helped Hyundai Australia’s engineering team tune its suspension more effectively. That rear-biased weight distribution also creates a slightly different feel behind the wheel with the Electric’s lighter nose. The Electric feels more responsive to turn, while its steering also feels the most linear – making the fully electrified Ioniq the most pleasant to drive whether you’re navigating city streets or cruising along a country road. You don’t necessarily cruise in silence, however. The ultra-hushed nature of the electric drivetrain means wind noise and especially tyre noise can be prominent. * Based on a 125km test loop comprising city, country and freeway driving – with costs based on an average petrol price of $1.35 and overnight charging at home with an average price of 16 cents per kWh. Costs will vary depending on usage and charging locations. Recharging doesn’t apply to the Hybrid variant, and you have the option of doing the same with the Plug-in – though why choose the car in the first place if you’re not going to use its EV-motoring ability? Based on our testing, the Plug-in will save you about a third in running costs compared with the Hybrid. However, the longer the trip, the greater the distance that will be covered without the benefit of the electric motor and therefore higher fuel consumption. And even if a circa-32 per cent saving were possible consistently, it would take about 390,000km of driving before a Plug-in owner has broken even when taking into account the extra $7000 paid over the Hybrid (comparing Elite models). How much to charge the Electric, then? Well, this could be a time to introduce the well-known piece-of-string analogy as there are variables at play. The cost depends on where, when and how you charge your Ioniq. One of the cheapest methods – and most convenient – is charging at home overnight, when it’s possible to take advantage of off-peak electricity rates. A typical price here is 16 cents per kilowatt hour (with a kWh being an electric car’s measurement equivalent of a litre of fuel). With a 28kWh battery to replenish, that’s $4.48 – not bad for 230km of driving. Or quadruple that to $17.92 to get about 920km – the kind of range you might get from a petrol/diesel car. The average price per kWh is 33 cents for New South Wales, but varies considerably between states. Peak charging can also be much higher. Then there’s the matter of how ‘green’ your electricity is – an important factor if you’re buying an electric car because you want to do your bit for the environment and reduce emissions. Unless you’re paying your electricity company extra money for renewable energy (or you’ve installed solar roof panels for a more sustainably powered home), your electricity is derived from dirty coal power. You can simply plug the Ioniq into a regular household socket (the plug/cabin is included in the purchase price), though this is the slowest way: about 12 hours (or six hours for the Plug-in). Or to charge in about a third of that time – four hours, 25 minutes – pay $1995 for a Delta in-home charger installation. The Ioniq features an on-board charger with a charge scheduling function. This allows owners, via a dedicated screen on the infotainment touchscreen, to program a set time. It’s handy because it means you can plug the car in during the day but not start charging the car until the evening, capitalising on cheaper rates. Additionally, a $495 seven-pin Type 2 plug can connect the Ioniq to a public charging station. It’s about 4.5 hours when charging via the car’s 6.6kW on-board AC (alternating current) charger, but find the more rapid DC (direct current) charging stations and you’re looking at just 23 minutes for a 0–80 per cent charge (100kW) or 30 minutes (50kW). There are apps that will help you find charging stations, but be warned that the EV charging infrastructure is very much in its embryonic stages. Not only are charging stations still fairly rare, but even when you do locate one, the charging bays are likely to be extremely limited – with the potential to be already occupied by another EV owner. There’s more than one plug type, too, just to complicate matters. When we drove to a Chargepoint station in Wollongong, for example, it provided a CHAdeMO plug that’s great for a Nissan Leaf, but not the Ioniq (or most other new EVs, which seem to be favouring the Type 2). An electric car is powered by a complex drivetrain arrangement, yet it’s relatively simple to maintain compared with vehicles featuring internal combustion engines. There’s no oil to be changed, for example. And this is reflected in savings of between $105 and $305 per service compared with the hybrid Ioniqs – or nearly half the servicing costs across five years. The Electric costs $160 for every annual service for a total outlay of $800. The Hybrid and Plug-in cost $1525 for the same period. Each variant benefits from a special battery warranty covering eight years or 160,000km. Battery technology is still expensive, so the Hyundai Ioniq isn’t going to win any ‘Best Budget Car’ awards. Yet, there is relatively good value here. 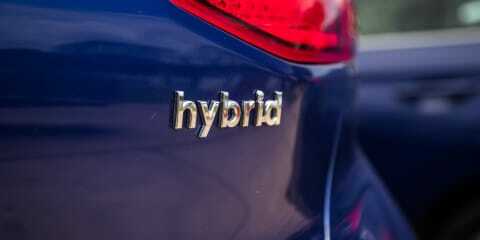 Even the base models are well equipped, and the Hybrid is more affordable than the rival Prius. Plus, the Electric variant is not only the cheapest EV on the market (at the time of writing), but makes the circa-$50,000 Renault Zoe and upcoming Nissan Leaf look overpriced. The mid-range Plug-in makes a weaker case, offering proper (limited range) electric motoring but little else for a not insignificant $6500–$7000 premium over the Hybrid. The Hybrid will also hold huge appeal for buyers who want great fuel economy and simple, set-and-go motoring without the need for messing about with plugs and cables. Or any worries about electric range. They’re inescapable with the Ioniq Electric if you’re looking at this Hyundai purely as your only car and want to take it on long drives. Its maximum range with a full battery is less than a quarter of the distance either of the hybrid Ioniqs can take you with full fuel tanks. Yet, as a second household car to be used as the main daily driver, the Ioniq Electric becomes a tempting proposition. And with the more comfortable ride, the better steering, best front cabin and best performance, it’s our pick of the Hyundai Ioniq range.